When doing a short-term project, it would be more advisable to choose an industrial air compressor rental instead of purchasing a new unit. In making this decision, there are key elements to consider. Here are some of the tips when requesting an industrial air compressor rental. Type of Unit: The type of industrial air compressor rental depends on the work needed to be done. If you are looking to do a few simple painting jobs, a small unit would suffice. If the work entails using other heavy equipment, then a larger unit is needed. Budgetary constraints: The cost of an industrial air compressor rental also needs to be considered. This involves looking at the project duration, any consequential repairs that need to be done as well as the materials required to operate the equipment. This includes the manpower needed to operate and maintain the unit properly. Storage and Transport. Since an industrial air compressor rental is owned by a third party, proper storage and transport are an important matter. If you lose or fail to take care of the unit, you will need to pay for the damage. Eventually, must be returned in good condition. Condition of the unit. This is often one overlooked aspect of industrial air compressor rentals. In receiving the unit, there needs to be a thorough check of the operation of the motor, the integrity of the tank and the airtight condition of the hoses. Failing to make this thorough check could result in a substandard unit that increases the overall cost of the rental. Deciding on using an air compressor rental entails not just getting one, but involves planning, budgeting, as well as foresight. 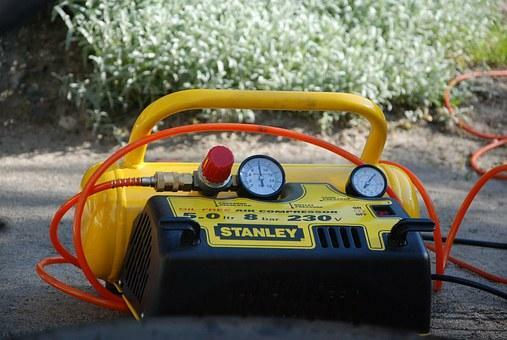 Are you ready to order your first industrial air compressor? At ReapAir, we sell a variety of compressor units that include Quincy Air Compressors, as well as other products such as air dryers and nitrogen generators. Call us toll-free at 1-888-253-7247 to learn more about how we can help you!